Ninetales Solo Contest: We Have a Winner! 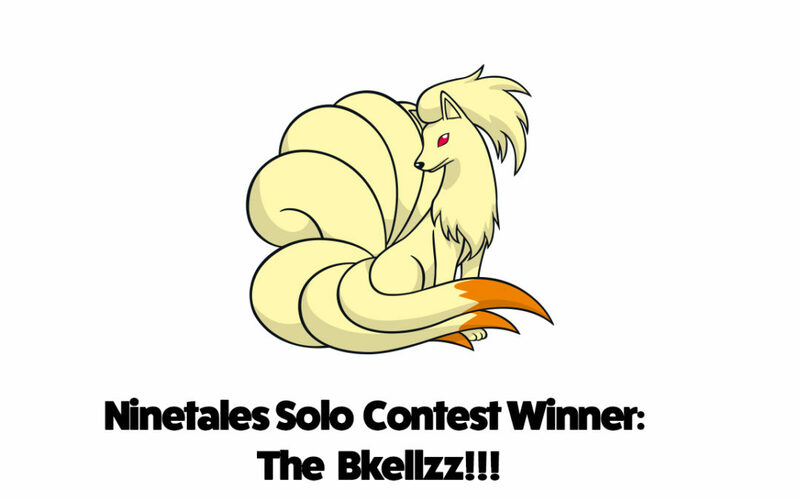 Congrats to The BKellzz for winning our Ninetales Solo Contest! They did an amazing job killing Ninetales with a mix of great skill, luck and some super strong Golem in a solo raid as you can see in the video above. You can check out his (or her?) YouTube channel at CoDextraPerformance and Tweet them at @cxp_gaming. They went against a Fire Spin and Overheat Ninetales. And you can see how they beat the odds on Pokebattler.com’s results here. BKellzz wins a year’s free Fanatic Subscription. Gold level Monte Carlo simulation quality for your Pokebox. These are the results of 200 simulations averaged together.These results are the best currently available on Pokebattler and are very accurate. Advertisement free experience. All ads are completely removed, improving performance on mobile devices in particular. You can learn more about our Patreon here. (FYI, for those awesome fans already subscribing, Patreon just notified us that they changed some of their fee policies, so you should check that out). Great work everyone, and check back in the future for more contests, and updates to the site based on the upcoming Gen 3 and Weather releases. We can’t wait!